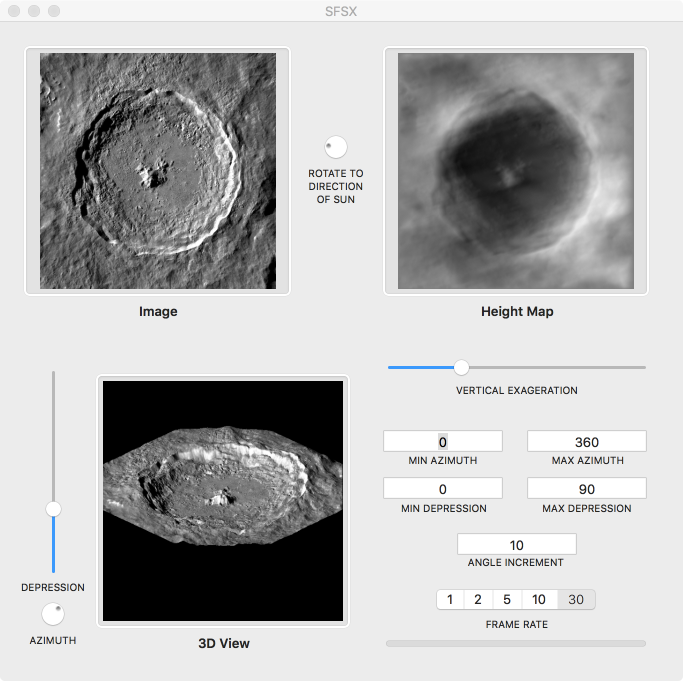 As we prepare to return to the moon and explore Mars in the coming years, join in the search for extraterrestrial artifacts using SFSX - a Mac OS X app for lunar and planetary exploration. Shape from Shading is a technique for 3D viewing of lunar and planetary imagery. 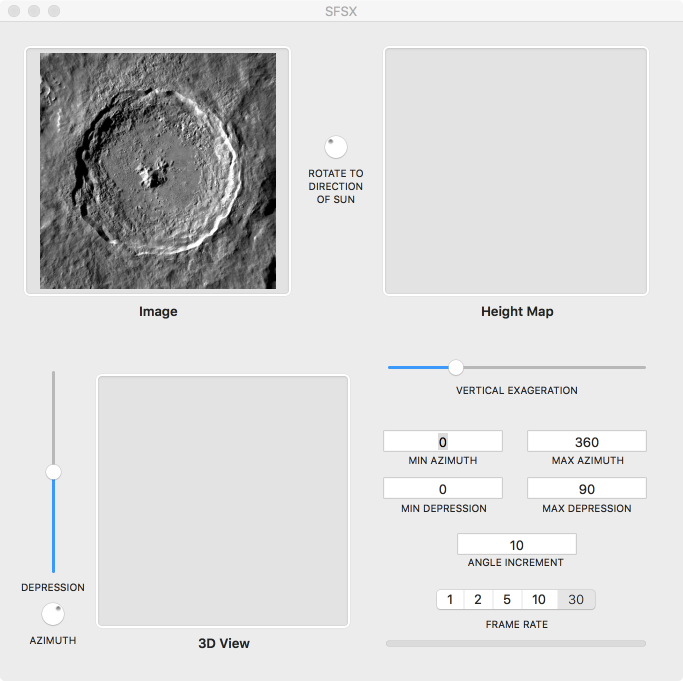 SFSX computes a 3D surface from a single image and uses it to view the image mapped onto the surface from different look angles. The method originally developed in the early days of the Space Age was employed in an independent investigation of the Face on Mars in the the 1980s. It is currently being used to assess a number of anomlaous features on the Moon. 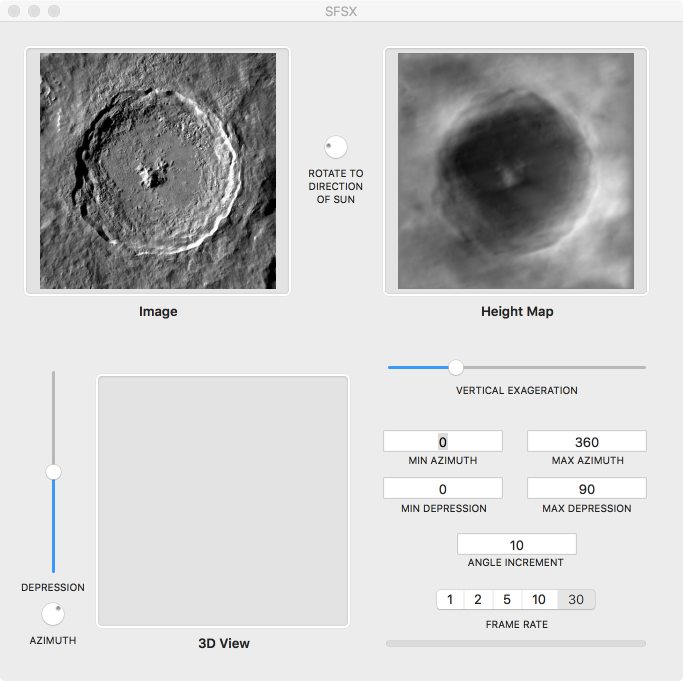 SFSX works best for overhead images of the moon and planets, like Mars where the surface is lit at low sun angles producing strong shading and shadows. Click here to download sample imagery. 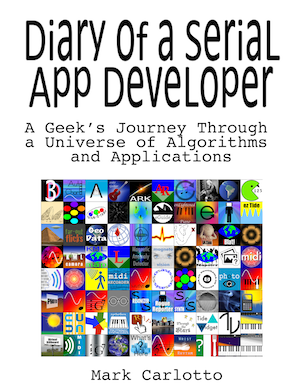 The app relies on you to specify the direction of the sun using the top circular slider. After a short processing delay (which depends on the size of the image) the computed height map is displayed to the right. Views at other look angles can be generated by changing the depression and azimuth angle sliders. The amount of relief can be adjusted with the vertical exaggeration slider. 3D views can be saved one frame at a time, or as a movie.